At year end, the WordPress Team puts out a review for each blogger on their year’s blogging statistics. It reveals some surprising information, who visits the blog, which posts were most liked etc. I was pleasantly surprised by the ‘crunchy numbers’ and the statistics which revealed my blog had been viewed about 16,000 times. I was more surprised by the information on which posts were the most popular: Culture and Love ; and which post attracted the most comments “Penguin Chicks: From Fluff to Tuxedo”. During the year i’d not really paid too much attention to the ‘backroom’ details, although i’d noticed that “elephant tusks” came up regularly via search engine queries. I wrote a post about the odd relationship between three of the most unlikeliest mammals, The Dassie, Dugong and Elephant . They have a fascinatingly evolutionary history which ties them back to a common ancestor. They share various, if disproportionate, physiological similarities in teeth, leg and foot bones, testes, and other more obscure details. In the post I assigned ‘elephant tusks’ as a tag to this photo. How sad, (and devastating) it is to realise that there is a sinister connotation to the fact that this tag had the most hits on my blog via search engines. Here in Africa, the poaching of elephants for their ivory and rhino for their horn remain the biggest and most devastating scourge in wildlife conservation. Much is written in the press and across the international wildlife community in raising awareness on the diminishing numbers of these majestic animals through this wholesale slaughter of illegal poaching. The elephant tusks mostly land up in China, and i do believe that there is a possibility that the stats on my blog for visitor traffic from that country, could well tie into this issue. I would like to share this following article, reblogged from Africa Geographic, as a reminder to all who do land up on my blog searching with bad intent, that all animals, no matter whether they are pandas, snow leopards, tigers, elephant or rhino, all deserve our respect for their continued existence. The story, published on November 15 2013 in Southern Weekly, has been shared widely across Chinese web sites and social media, according to the conservation group. ”The total views of the original Southern Weekly Tweets and Retweets on Weibo (China’s Twitter/Facebook hybrid) exceeded 10 million. Most of these “netizens,” or members of the Chinese online public, were from Tier 1 Chinese cities (Beijing, Chongqing, Guangdong), the most significant consumers of ivory,” said WCS in a statement. “The article was reposted on 24 online discussion forums or Bulletin Board Systems (BBS) including Mop and Tianya, two of the most popular in China. Thousands of comments were generated on the Tianya BBS forum alone. Overall over 5 000 comments on the article were posted on Weibo, BBS fora, and other websites.” The story received wide play outside environmental news, being picked up on finance sites, according to WCS. ”This represents an important shift for the topic of ivory from the specialist environmental pages to the mainstream debate,” said the group. The poster reads: Protect the pandas of Africa – elephants. When the buying stops the killing can too. Image courtesy of WildAid. The ivory trade has exploded in recent years due to surging demand from middle class consumers in China. Conservationists estimate that up to 35 000 elephants may have been killed in 2012 alone. The carnage has spurred several NGO’s, including WCS, to step up campaigns targeting both the supply and demand sides of the trade. In September, the Clinton Global Initiative gave these efforts a boost when it launched a massive push to catalyze support for stopping “blood ivory”. The poster reads: Do you want to own ivory dripping with blood? When the buying stops the killing can too. Image courtesy of WildAid. But reaching Chinese buyers has remained a challenge. 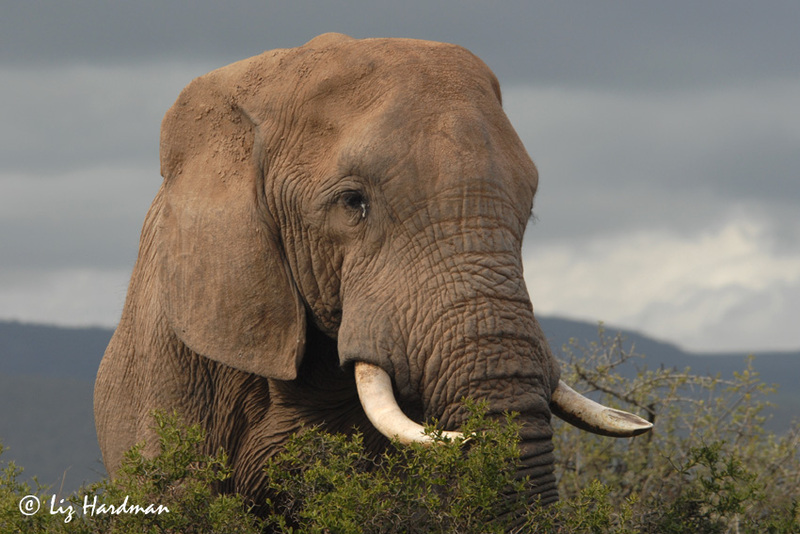 Therefore WCS welcomed the news that elephant ivory is now garnering attention in China. “To have the influential mainstream media make the link between the elephant crisis and the Chinese demand for ivory is hugely significant,” Cristián Samper, WCS President and CEO, said in a statement. Photo Credits – Posters are the work of Asher Jay. great post; i had no idea that the ivory ‘slaughter’ was still out of control. i’m here worried about fishermen digging sea=turtle eggs, and not tuned into other species that are still being plundered, especially something as huge and grand as an elephant! thanks for the work that you put into this post! HI Z, thanks for the comments. So many species are at crisis point – turtles are just as vital to the ecosystems. The figures on how many elephant are left are vague so this year there is to be an aerial survey, – a project known as The Great Elephant Census. It’s about time too. Stats for 2013 proclaim that 18 tons of ivory was seized which equates to an equivalent of 40,000 elephant. Isn’t that just too awful! 18 tons… 40,000 elephants.. that hurts my heart, literally/physically! Your photography is as always, just spectacular! And the message of conservation you bring through your amazing work is truly inspiring. Thank you for caring so for all our beautiful creatures. Thank you Lady with Lilies for your encouraging comments 🙂 Lets continue to hope that raising awareness gets the message across. Thanks for your comments Mike. Yes, hopefully every message contributes in some way. Great post and I hope it will make a difference! Poaching is such a devastating menace to wildlife in many places, and old traditions are hard to change. Thanks Leya – yes, let’s hope so, but you’re so right about old traditions. The WordPress annual report certainly brought home the power of Search Engines – any traffic coming my way will be in for a different message! It is hopeful that the message going out with Asher Jay’s posters are going viral. I really enjoyed this article Liz. Good job, and thanks for the update. Liz I don’t understand China. I am very angry but more than that I am deeply saddened. Yes it’s difficult to understand their uncaring mentality and all in the game of status. At the same time the locals have a lot to answer for their part in the hunting and poaching. It’s highly organised and the poachers are well connected to be equipped with helicopters, high powered rifles etc. One of the rings uncovered here included park officials and even a vet of ‘high-standing’ – that was a shock to the community. It is sad, very sad. Helicopters oh my god! and a vet, how disgusting, I’d like an hour with that one! Well done Liz – I LOVE that China is publicizing the need to stop the horrific trafficking in elephant ivory. One photo of an elephant that’s been slaughtered for its tusks is enough to make anyone stop using ivory. Brilliant to link the beloved Chinese panda with the African elephant. Yes, I think the panda image hits home, and it is heartening to see that the Chinese government is condemning the trade with the seizure of ivory goods, and Monday there was a report on the destruction of 6 tons of impounded ivory in Dongguang as officials put out warnings of heavy fines…. now to get the corrupt locals and graft controlled on this side. I agree totally with the other commentators, this a truly great post and I do hope a much needed change will take place soon! Thank you so much for informing us on this important matter. Thanks for the info on OMG – and very worthwhile work too. The Plastic Week Awareness campaign is admirable, as are the efforts to save endangered species. Maybe tne next goal with regard to rhino and elephant poaching would be to target awareness at the end users of the product? Yeah, I’ll definitely be sure to email them about that since I’m friends with Olivia and Carter, the founders. I’ll also recommend you and your blog 🙂 .